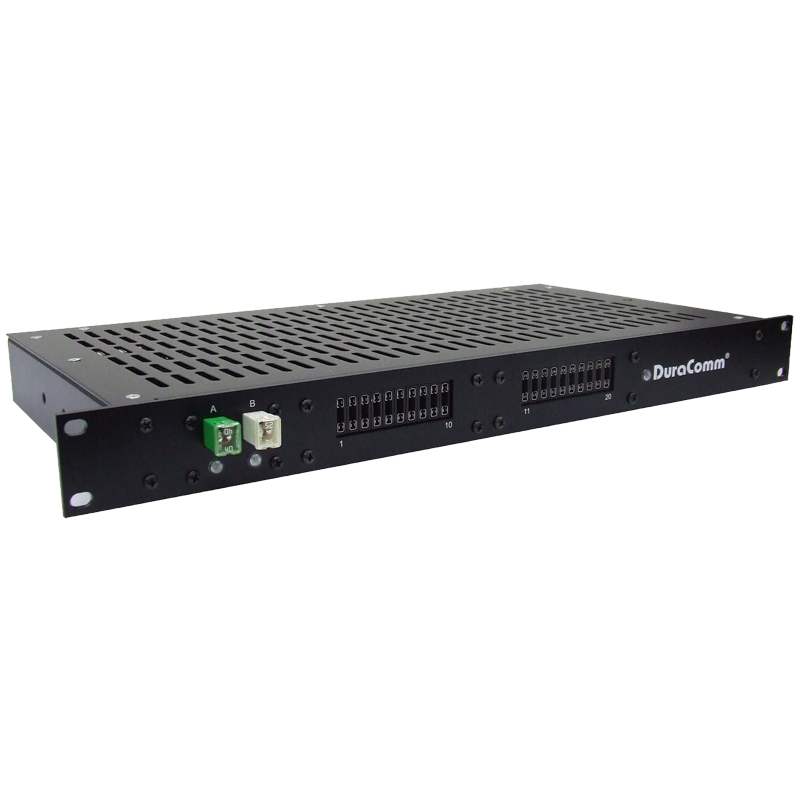 The DP-20ATC-2JC-24 Fuse panel is a Rack mount (1U) 100 Amp 24 VDC power distribution panel that provides up to 20 load circuits protected by individual blade-style fuses. (ATC/ATO, ATM, Mini, Micro fuses not included). Each circuit can be fused up to 15 Amps, with 75 Amps Max per 10-Fuse Block. 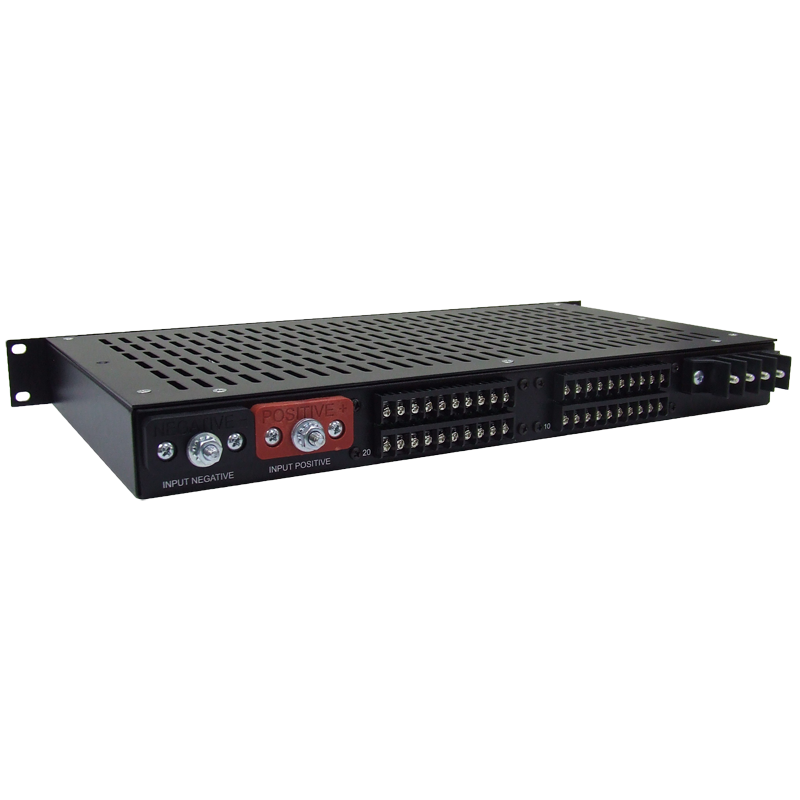 Each JCASE®-fused circuit (A and B) can be fused up to 40 Amps, with a total 22-circuit load of 100 Amps maximum. Heavy duty DC input connectors provide strong ¼ inch studs to accept up to 100 amps at 24 VDC from a single power supply. 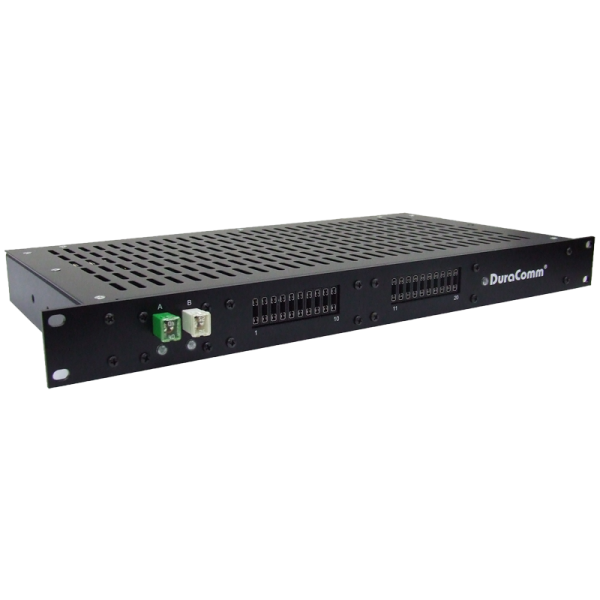 All inputs and outputs are isolated from the frame for use in positive ground, negative ground, or floating applications. Fuses and LED status indicators are on the front of the unit, while input and output, are on the rear. Three green LEDs are provided, one for the power input status, and one for the load side of each JCASE®-fused circuit. One 30 Amp JCASE fuse and one 40 Amp JCASE fuse are included. Load connections are available via rear-panel barrier strips.